Never shy of hard work, Director Robert Lalor takes on a number of different roles in the Redchip office. Whilst heading up our Property team where he flexes his expertise in property developments and complex commercial conveyancing, Rob also works heavily in the Commercial space, with a particular aptitude for private treaty mergers and acquisitions. "I would have no hesitation in recommending Redchip as a professional and efficient business whilst providing an understanding and personal touch." No matter the job at hand, Rob has proven time and again that his strength lies in identifying underlying issues for clients that they had previously overlooked, and finding solutions for broader commercial outcomes. Although the nature of Rob’s work is largely transactional, the real highlight for him is working with and for people who trust him, and in being that person who a client calls on before any other adviser. 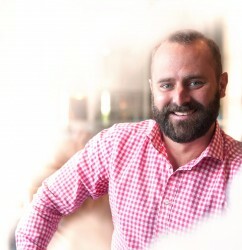 When he emerges from behind his desk Rob can also be characterised as the office larrikin, keen for a beer and a laugh with workmates or clients. I identify the underlying issues of a matter to find the solution for a broader commercial outcome.